The Central Committee of the Communist Party of China (CPC) announced on Monday the latest reshuffle of provincial leaders. 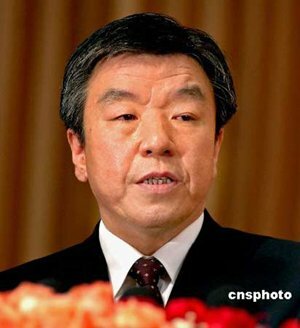 Former Party chief of Fujian Province Lu Zhangong was appointed secretary of the Henan Provincial Committee of the CPC, replacing Xu Guangchun. Sun Chunlan was appointed secretary of the Fujian Provincial Committee of the CPC. 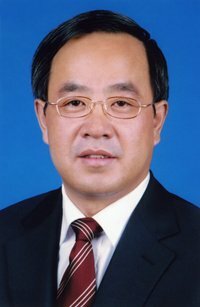 Former Party chief of Jilin Province Wang Min was appointed secretary of the Liaoning Provincial Committee of the CPC, replacing Zhang Wenyue. 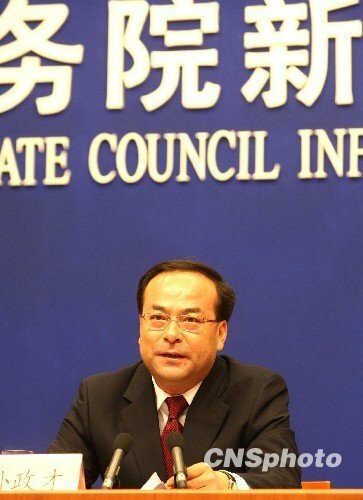 Former Minister of Agriculture Sun Zhengcai succeeded Wang as the Party chief of Jilin Province. Hu Chunhua is seen as one of the more promising sixth-generation leaders of the CPC. He was born in Wufeng, Hubei in April 1963. He received his B.A. degree from Beijing University in August 1983. After graduation, he began work as a cadre in the Organization Department of the Communist Youth League in Tibet. Hu subsequently held various government and Youth League positions in Tibet, ultimately serving as deputy secretary of the CPC Tibet Autonomous Regional Committee from November 2003 to November 2006 and vice chairman of the Tibet Autonomous Regional Government from November 2003 to November 2005. From 1997 to 2001 Hu served in the Secretariat of the Communist Youth League and as a Vice Chairman of the All-China Youth Federation. He returned to Beijing to become the First Secretary of the Communist Youth League from December 2006 to March 2008. On April 15, 2008, he was appointed as the acting Governor of Hebei, China’s youngest. On January 12, 2009, he was appointed Governor. 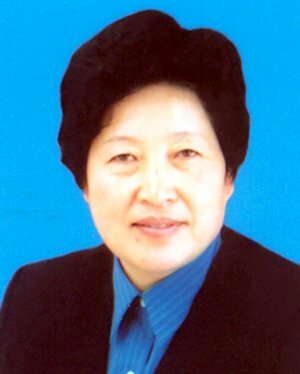 Hu is a current member of the 17th Central Committee. On December 27, 2008, he was admitted as a substitute delegate to the 11th National People’s Congress (NPC) representing Hebei Province. Born in Cixi, Zhejiang Province, Lu Zhangong started working in March 1969, and joined the Communist Party of China (CPC) in January 1975. In September 1988, he became the vice secretary of the CPC Jiaxing city committee and the secretary of the discipline commission there. He was elevated to the position of secretary of the CPC Jiaxing Committee in December 1989. In March 1991, he became the vice director of the organization department of the CPC Zhejiang committee. He was promoted to director of the organization department and a member of the standing committee of the CPC Zhejiang committee in December 1992. One year later, he became the vice secretary of the CPC Zhejiang committee and head of the organization department. In July 1996, he was appointed vice secretary of the CPC Hebei committee. In October 1998, he became the vice chairman of the All-China Federation of Trade Unions, secretary of its secretariat and vice secretary of its Party group. In January 2001, he was appointed vice secretary of the CPC Fujian committee, and became vice governor and then acting governor of Fujian in October 2002. His post of governor was confirmed in January 2003. In February 2004, he became acting secretary of the CPC Fujian committee, and on December 16 of that year, he resigned from his post as governor of Fujian and became the CPC party chief of the province. In January 2005, he was elected chairman of the standing committee of the Fujian People’s Congress. Lu was an alternate member of the 15th Central Committee of the Communist Party of China and a full member of the 16th Central Committee. He currently serves as a member of the 17th Central Committee. Sun Chunlan was born in Raoyang, Hebei Province. She joined the Communist Party of China in May 1973. She has been an alternate member of the 15th and 16th Central Committees of the Communist Party of China, and a full member of the 17th Central Committee. Sun Zhengcai was born in September, 1963 in Wendeng city of Shandong province. In July 1988, he joined the Communist Party of China. He has been a researcher of agricultural science in Beijing, and held many political positions in the Beijing region. In February 2002, he became the Party Secretary of the Shunyi District outside of Beijing. In December, 2006, the 25th plenary session of the Standing Committee of the National People’s Congress appointed him to his current position as head of the Ministry of Agriculture. He is a member of the 17th Central Committee of the Communist Party of China.